Before you run to the store for a bottle of cologne and the usual golf polo for your Dad take a few minutes to catch up on this week’s edtech happenings. Need a another gift idea? Sign Dad up for one of the thousands of MOOCs now available, print and frame our new infographic or walk him through one of the new toolkits released this week. He’ll be up to speed and using #hashtags like it’s his job in no time. Happy Father’s Day weekend y’all. 1. This week our friends at iNACOL and NGLC released a toolkit for charter, district, and school leaders to help them understand the concepts and design of next gen learning programs, schools, and initiatives. RE-THINK: Planning and Design for K-12 Next Generation Learning focuses on the early stages of leading the transition, designing the learner, and engaging others in the community to get on board with next generation learning. Through the toolkit, educators can begin the adventure of design and planning; all while having the students in mind. To learn more about this great tool see our feature. 2. Some of our favorite schools in the nation are being highlighted in President Obama’s High School Redesign initiative. High Tech High in San Diego, Reynoldsburg High School in Ohio and Manor New Tech High School in Texas are featured in the ED.gov fact sheet released about the nation’s high school re-design efforts. We’ve been pondering high school improvement as well and had the chance to visit Reynoldsburg earlier this year. 3. This week we launched a second infographic, Blended Learning From the Group Up, to accompany the DLN Smart Series Blended Learning Implementation Guide. We are in the midst of prepping version 2.0 of the guide and want your feedback. Send any thoughts or suggestions for the guide to be released this summer to smartseries@gettingsmart.com. 4. This week the Aspen Institute launched a task force on Learning and the Internet. The task force, supported by the John D. and Catherine T. MacArthur Foundation, is co-chaired by Gov. Jeb Bush and actress Rosario Dawson. “Digital learning is the catalyst to ensuring students have the personalized education needed to be ready for college and careers. The Task Force on Learning and the Internet hopes to ignite a discussion around best practices that parents, government officials, and businesses can use to help a generation of connected learners safely engage with innovative tools, resources, and services on the web,” said Gov. Jeb Bush. 5. This week VentureBeat announced edtech Startup Silverback Learning Solutions has raised $2.5 million for their edtech platform. One of Silverbacks core products, Mileposts, is designed for a 360 degree approach to give students the full potential to perform at their individual best, without limits. Research has shown that this approach to education along with an engaging attitude from local communities, will bring success to students and educators. As we’ve covered recently, Silverback has partnered with learning search engine Gooru as well as Linkit!, a formative assessment shop. 6. A 5-point plan is being introduced by the LEAD Commission to outfit schools in five years or less with high-speed Internet as called upon by the Obama administration last week. “In a country where we expect free Wi-Fi with our coffee, why shouldn’t we have it in our schools?” President Obama said. The Commission believes that digital learning and high-speed Internet can be introduced to all schools will take less than 5 years. 7. 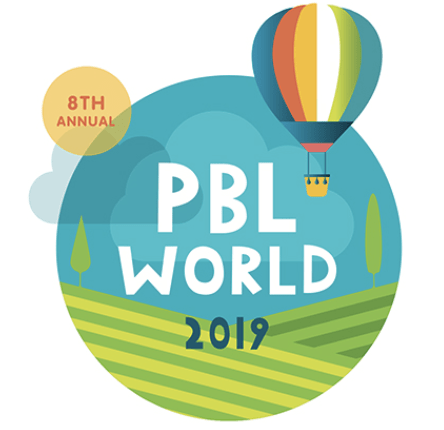 It was a busy and exciting week for our friends over at the Buck Institute for Education (BIE); their newest book in BIE’s PBL Toolkit series, “PBL for 21st Century Success” was published. Available for purchase on BIE’s website, the book serves as a guide to building student competency is the “4C’s” – collaboration, critical thinking, communication, and creativity. This week BIE also hosted a free webinar showcasing a preview of their book and released a video showcasing PBL at ACE Leadership High School in Albuquerque, New Mexico. Using real-world projects, ACE educates students who have dropped out of traditional schools or who were formerly at-risk. 8. Instructure announced funding in their Series D round this week, which raised an additional $30 million to bring their total up to $50 million to date. Although best known for their Canvas Learning Management Platform, Instructure also offers their own MOOC platform – “The Canvas Network”. More to come on MOOCs below. 9. No more erasers needed for more than a million students who were able to take math and English/language arts online assessments through the Smarter Balanced pilot. The pilot is testing real world application of the assessments built around Common Core and giving schools and teachers the chance to see what preparations are needed before 2014-2015 when assessments will be online. 10. Are you MOOC’ed out yet? This week was filled with MOOC stories everywhere we turned. EdTech asked in a great infographic, Do you think MOOCs will disrupt higher-ed or level the playing field? Ellen Moir of the New Teacher Center explains why MOOCs aren’t just for students. Through partnerships with Coursera many schools will now be able to address dual enrollment concerns and provide options for faculty and students looking to get college level credit. Disclosures: Digital Learning Now! is a Getting Smart Advocacy Partner. Tom is a director at iNACOL. I am delighted to see the Buck Institute publish a new book. I have their older version and used it and implemented my own 21st century skills along with the PBL I implemented in my class. Kudos to BIE! Can’t wait to purchase! I also think the MOOCs courses are great. Often you may want to know a little about a subject without taking the whole entire course in a University. The MOOCs allow you to pick and choose just what part you need/want to know. If you are then still intrigued then you register for a paid course.